500 photos of love await you in this new Holiday Jigsaw! Love, love, love is coming! 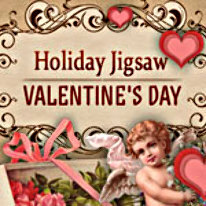 An unforgettable love affair awaits you in the newest Holiday Jigsaw - St. Valentine! With 500 amazing and adorable photos capturing images of love and romance, Holiday Jigsaw St. Valentine is the best way to celebrate this most romantic time of year. Featuring more than 10 hours of gameplay, unique game modes, trophies, saves and much more, Holiday Jigsaw St Valentine is truly a game for those of you in love or who are anxiously awaiting it!